This community event that combines inspirational empowerment, emotional support and engaging entertainment for young girls during a pivotal time in their lives. Here's everything you need to know. 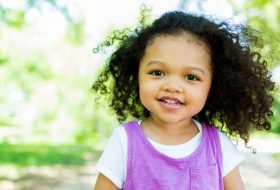 As spring break approaches, you may be in need of a few ideas to keep your kids learning, playing and exploring. If you’re stuck for ideas, read on for eight last-minute things to do in and around Vancouver. Family Day 2019 is almost upon us. Check out these 6 events to get you feeling some fun, family vibes around Vancouver this weekend. Winter can sometimes feel endless during this time of year, which is why Winter Wander is the perfect way to shake off the blues! Here's when it's happening and what you can see and do as a family. In addition to the many Christmas events happening in and around the city, there are a ton of fabulous activities to discover and enjoy while school is out and the busy-ness is on pause. Gather your people, get warm and cozy, and check out these eight spectacular light displays around the city. It’s beginning to look a lot like Christmas! These performances are a great reason to set aside your decorating, shopping and baking for a few hours. Here are our top choices of shows that will have everyone feeling merry. 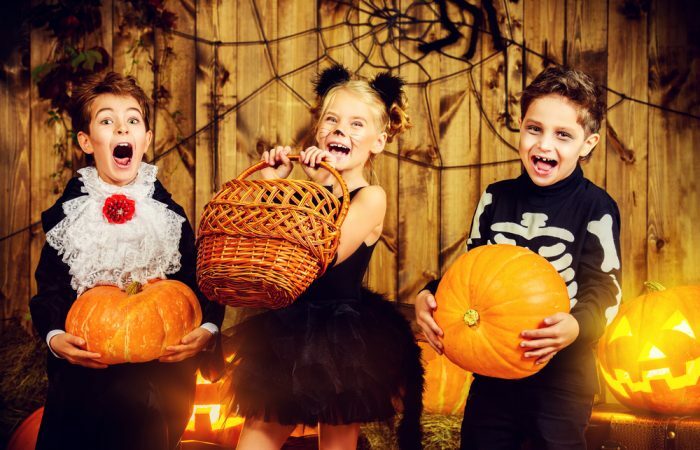 Communities all around Vancouver are getting ready for Halloween with some great family-friendly options for spooky fun. So, if you’re looking for some great ways to experience a few ghostly adventures, look no further than this list for 2018. There is so much to see and do around Vancouver this fall. Here's some great family activities on your to-do list before you settle down for your feast. With kids back to school, and our weekdays full of chaos, weekends offer us time to enjoy our friends and family in this incredible west coast city. We love the colours of the fall harvest in Metro Vancouver, from fields of ruby red cranberries and bright orange pumpkins to orchards of golden and crimson apples. Shakespeare may not be the first thing you think of when you’re planning activities with your kids, but it’s never too early to introduce children to the Bard. Here’s where to take your young theatre-goers for an evening of Shakespeare and fun. With so many ways to celebrate Canada Day in the Vancouver area, we felt it needed a guide! Check out our list of Canada Day events and activities in Vancouver, as well as plenty of fun that’s further afield, in case you’d like to get out of the city. This summer, professional cyclists from around the world will be converging on Vancouver for ten days of exciting races. And some communities are also offering free kids’ races so that young cyclists can ride like the pros. It's back! 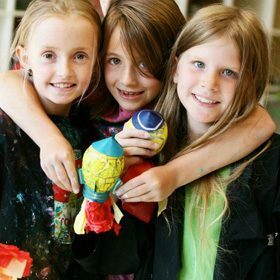 The Vancouver International Children's Festival will be here from May 28 to June 3 at Granville Island and it's filled with fun. Here's what's in store for 2018. There are plenty of things going on in the Lower Mainland that you can enjoy with your kids this Victoria Day long weekend. Here’s what’s in store. With the warmer weather on the horizon, everyone wants to spend more time outdoors! These are the best family-friendly festivals on this April through June. We’ve got three full days to revel in the joy of Easter. Here are our picks for the very best family-friendly Easter events happening in Vancouver this long weekend. With Christmas break right around the corner, you're probably looking for some great family-friendly holiday activities to do in and around the Vancouver area. Here are five of our favourite not-to-be-missed Christmas events. The clocks have fallen back an hour and the Halloween candy stash is on its way to being depleted, which can only mean one thing: it’s Craft Fair Season in Vancouver. The music, the floats, the lights, and the anticipation of seeing the big man himself...we love it all. 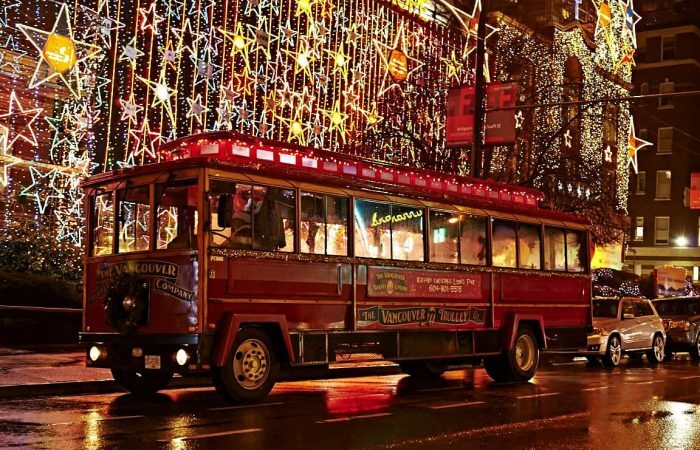 Here's where to catch a Christmas-themed parade around Vancouver this winter. Pumpkins and dancing and treats—oh my! There's a lot to do in Vancouver in preparation for the big night. Here are seven fun Halloween events. There are a bunch of things to do around Vancouver this month, so we’re rounding up a few of our favourite activities, festivals and, of course, Canada Day festivities. Here’s your guide to conquering June in Vancouver and making it through this crazy month like a boss. Do you feel that warm sunshine on your upturned face? Rejoice! Spring is officially here and we are all feeling refreshed and recharged. Here's our guide to making the most of April in Vancouver. Want to make the most of March? Here's what to do, get, play, read, and more in Vancouver. We've rounded up some family-friendly events in and around Vancouver for you to check out the entire weekend, including the holiday Monday. From what to do, where to go, and what to buy, here's how to make the most of February in Vancouver. Here are a few of our favourite ways to celebrate the Chinese or Lunar New Year with your family in Vancouver. What to do, where to go, what to buy, what to read and more. It's the Savvy way to make the most of December in Vancouver. What to do, read, buy, surf, eat and more during November in Vancouver. Here's to making the most of the month with the Savvy Guide to November. 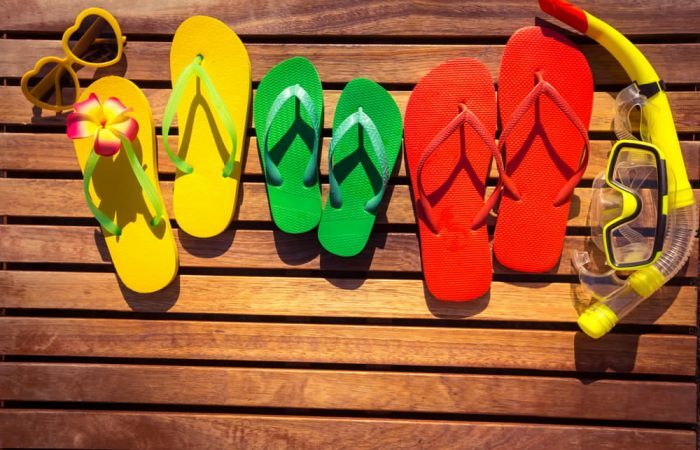 Like the arrival of barbecues and the need for pedicures, the May long weekend signifies the beginning of summer. Bust out the rain boots and dust off the bicycles. Spring has sprung, and we couldn't be more ready for it. Here's our guide to making the most of the month in Vancouver. 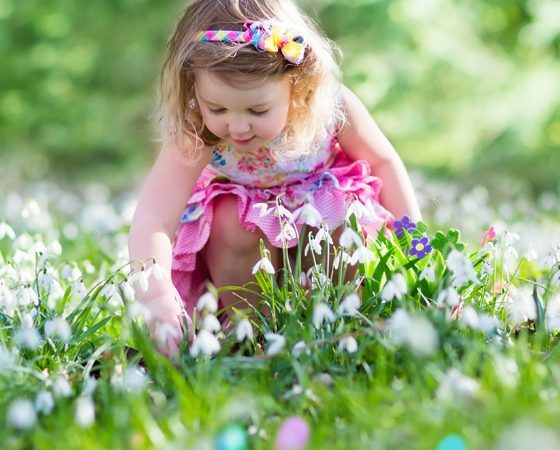 Whether you're looking for a fun way to get outside and enjoy the beautiful spring weather, or just need a way to keep the kids entertained over the long weekend, we've rounded up our favourite local brunches, egg hunts, and Easter festivals happening all over the city. Hop to it! With our loonie in the tank, staying in Vancouver is a great way to stay afloat this March Break. It will be easy to keep boredom at bay with these fabulous activities right here in YVR. Whether you're a fan of hockey, bouncy castles, or the wild outdoors, there's something for every family to do in Vancouver during the Family Day long weekend. Deep breath. With the hectic holiday season past, it's time to relax, regroup and look to the year ahead. Here's our guide to making the most of January in Vancouver. A holiday message from all of us at SavvyMom, plus last-minute tips, tricks, recipes, hacks and gift ideas. Thinking about our January credit card bill makes us feel more like Scrooge than Santa, but the most wonderful time of the year is not the time to stay home. Get out and enjoy the festive lights and holiday cheer without damaging your bank account—there are lots of things to do around Vancouver this season that are free (or nearly free). Get out and enjoy the festive lights and holiday cheer without damaging your bank account. There are lots of things to do around Vancouver this season that are free, or almost free. It's official—the holiday season has arrived! Here are our tips for minimizing the crazy while maximizing the fun. It's all here in our Savvy Guide to doing December in Vancouver. Sure, November may have a reputation as that dreary month between Halloween and the start of holiday-party season. But that's why it's the perfect time to cozy up with the family before your calendar fills up. Here's our guide to making the most of November in Vancouver. You've braved your local costume store, survived the terrifying lineups and the even scarier pleas to purchase the light-up zombie baby. Now it's time to join in the Halloween frights and fun around Vancouver. Here are our favourite Halloween events and outings. Don't baste your turkey yet—there are things to see and do this long weekend around Vancouver. Put these activities on your to-do list before you settle down for your feast. With the kids settled in at school, we're looking forward to all the fun that October brings, from Thanksgiving to farmers' markets and—their favourite!—Halloween, of course. Here's our Guide to making the most of October in Vancouver. August is here, and we're in the dog days of summer now. Our Savvy Guide to August in Vancouver is here to help you rock the second half of summer while (slowly) making the shift to back-to-school season. Dreaming of dining al fresco, with something for all taste buds and entertainment for children? Food Cart Fest is on now in Olympic Plaza Station until September 6. With over twenty food trucks and live entertainment, this event is a summer party you'll be happy to hang up your apron for. Everything is more relaxed in the summer, including bedtimes. Sleeping? There's too much to do! We're joining #TeamNoSleep and sharing our favourite kid-friendly activities to do by the light of the moon in Vancouver. Summer has arrived at last! Here's our guide to doing July in Vancouver, and making the most of your family time this sunny season. Our hearts aren't the only thing glowing with patriot pride this Canada Day—Vancouver is ablaze with ways to honour our nation. Here are our picks for the best places to wave a flag (or paint one on your child's face) this Canada Day. A toque is a hat, and a chesterfield is a couch, and we are proud to call ourselves Canadians. There are lots of places to celebrate Canada Day in Vancouver eh, and we've got the 411 on the best parties in town. He may not like to ask for directions, but he's a master chef on the barbecue. Show him how much we appreciate his strengths—whatever they may be—this Father's Day by taking him on an outing he'll truly enjoy. Nothing says summer quite like a local festival, and now that it's June, there are plenty to check out around Vancouver. Let your kids lead the way to these family-friendly community celebrations. It's the sprint to the finish line! June is jam-packed with school activities—spring concerts, field trips, class parties and more. Here's how to make the most of this hectic but happy month in Vancouver. The 30th annual ChildRun, on Sunday, May 31, 2015, will raise money for childhood cancer research and treatment areas at BC Children's Hospital. Bring the family out for a 1K or 5 K walk or run and carnival celebration in Queen Elizabeth Park. Each May, thousands of young salmon are released into streams and tributaries around the Lower Mainland. Head to Tynehead Hatchery for their Salmon Send Off or to the Stoney Creek Great Salmon Send Off—both a fantastic opportunity for our small fry to learn about the life cycle of the salmon, and the ways we can protect our streams and fisheries. There's so much to love about May. The warmer days bring the kids outside to play, there's a long weekend to look forward to and, most importantly, it's Mother's Day. Here's our guide to May in Vancouver. Turn up the volume on Mozart and contemporary dance in Vancouver on April 19 with these family-friendly music and dance events. It's time to dust off those bicycles and say hello to your neighbours. Spring is finally here. Here's how to welcome the new season with our Savvy Guide to April in Vancouver. Easter weekend in Vancouver is cracking with family activities. Here's how we're spending our long weekend in the city. The spring is truly in the break this year, with no snow in sight. But luckily Vancouver isn't all about the mountains. There are plenty of activities to keep you—and more importantly, the kids—busy when school is out. We made it! Well, almost. It's time to get ready for spring—even if (for now) we do it from the warmth and comfort of home. Here's our guide to getting the most out of March in Vancouver. 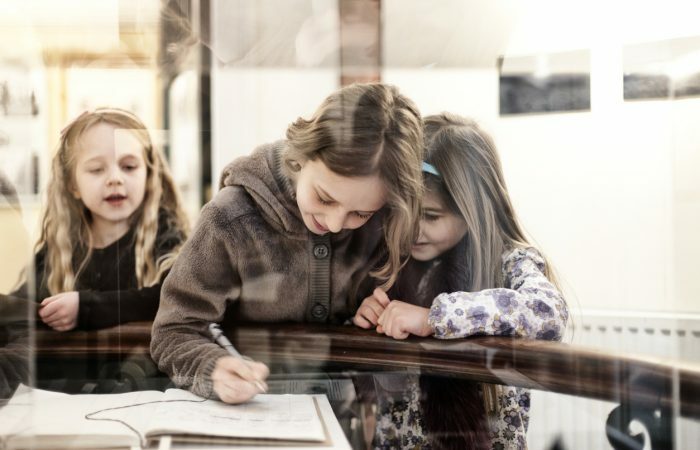 Don't let the February blues keep you inside, try these free family activities around Vancouver for family fun that doesn't hurt your wallet. In the spirit of helping moms everywhere keep their house intact and cake out of the rug, we've got the scoop on 12 birthday party ideas in Vancouver. February, we need to talk. We wish we didn't spend so many of your mere 28 days contemplating an escape to warmer climes, but sometimes your blustery weather gets us down. Here's our guide to getting the most out of February in Vancouver. Time to eat: Dine Out Vancouver runs from from Jan 16 - Feb 1, and 270 restaurants offer reduced rates on fixed price menus. Here are our picks for the best deals and restaurants to take the kids to. Oh, hello, fresh new year. The frenzied weeks of the holidays are past, and now there's time to take a breath. Here's our guide to starting the year off right in Vancouver. It's the most wonderful time of the year! It's also the busiest. Here's our Savvy guide to getting through December in Vancouver with your sanity intact. Since there are no long weekends to celebrate this month, we have some suggestions to get you through the post-Halloween trauma that is November. Here's our savvy guide to making the most of November in Vancouver. The inaugural Vancouver Halloween Parade and Expo will give your angel or Olaf another chance to shine—lots of spectators will be test driving their costumes along the parade route this Sunday. Here's the Savvy Guide to October in Vancouver. Brace yourselves. It's that time of year again. September means the end of summer (sigh) but it also means a new year and a fresh start. Get back-to-reality with our Savvy Guide to September in Vancouver. Seize all of summer. There are four very full weeks left to play, chill, read and connect with your kids. Enjoy, with our Savvy Guide to August in Vancouver. It's summertime and the living is easy, so stroll down to Stanley Park and check out the Summer Cinema Series. Shall I Compare Thee to a Summer’s Festival? Every summer has a story, so make yours about festivals. Our city shines this time of year, so we found 8 Family-Friendly Summer Festivals in Vancouver that you need to experience to complete your summer fairytale. Every summer has a story, so make yours about festivals. Our city shines this time of year, so we found 9 festivals that you need to experience to complete your summer fairytale. Moms are never too busy to give back to the community, we just need to be reminded of how we can help from time to time. Last month was all about Mother Earth. This month is all about you. May is for moms so celebrate Mother's Day and carry it forward the entire month. You deserve it. Read on for our Guide to May. There are tons of Easter themed events scheduled all over Vancouver this weekend, so for peep's sake get out there and enjoy. We've rounded up the best ones. Sure it's cold outside, but we're Canadian, and we know that the best way to warm up is to dress properly and keep moving. So we say lace up and take advantage of the west coast weather and get running in Vancouver. Presentation House Theatre introduces us to another side of the famous Christmas story with Mrs. Claus' Kitchen. This interactive musical is fun for families with children seven and older.